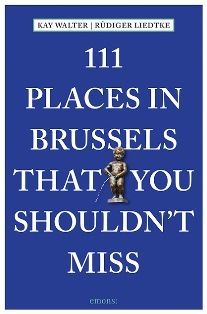 Brussels is a place that makes things happen, in every way. It is a melting-pot of nations, a multicultural city with an eventful history, full of contradictions and friction. It is the political headquarters of Europe. It was marked by the Middle Ages, and is a city of Art Nouveau. It is the world capital of the comic, a site of unique chocolateries, and famous for having the best french fries. Brussels stands for opulent restaurants and unbelievable bars with well over 100 kinds of beer. Brussels is a city filled with secrets, hidden treasures and many exciting surprises. 111 times over.